Gordon Atlantic is always interested in promoting safer driving. I beta tested a new telematics program ('telematics' is a fancy word for electronic monitoring of your driving) offered through our carrier Plymouth Rock. 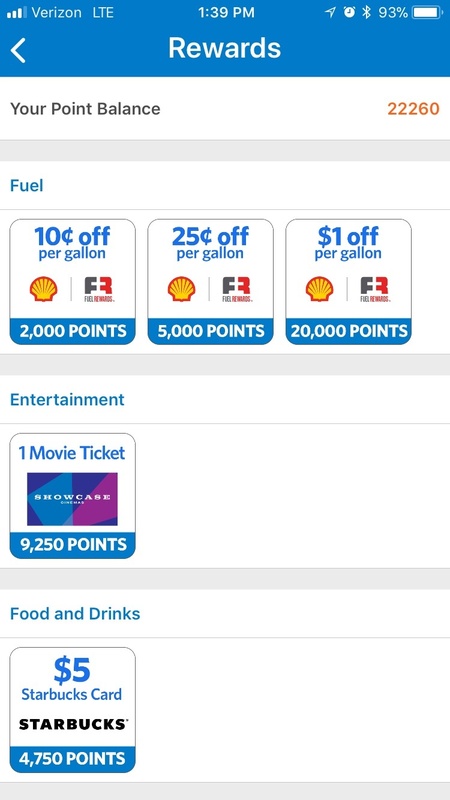 With the program now launched, using the app earns points which users can redeem for discounts on Shell gasoline, free movie tickets and Starbucks gift cards. But that's not the main reason I like it. The main reason is that I have become a better driver. Plymouth Rock Road Rewards measures your driving performance and provides a score measuring speed, acceleration, braking, cornering, and phone usage. The better you drive the higher your score...and the more points you earn. It costs nothing to participate in the program, but you must be a Plymouth Rock Massachusetts customer and have access to a smartphone to earn rewards. As someone who isn't too fond of "Big Brother," I'm pleased to know that Plymouth Rock is not collecting sensitive personal information off this app, and there are data security measures in place to respect my privacy. My driving habits as measured by this app will also NOT be used relative to any automobile claim I might be involved in. 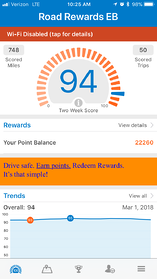 Further, my score will not be used to affect my premium, as telematics programs with other carriers do. There's no downside! The Road Rewards app tracks through your smartphone and whatever vehicle that phone is in; having multiple vehicles won't affect your score. You don't need to drive everyday, as scores only measure actual driving. Data usage is minimal and you can have data uploaded only when connected to wifi in settings if you watch data usage. For parents: Imagine how this could impact your kids' driving habits. Have them download the app and remind them you'll be reviewing their score periodically... like whenever they ask for the keys!. As the app recognizes phone use, such as answering a phone call or sending a text, you can see in the "Trips" section each trip in detail and where there are areas for improvement...such as not texting while driving, the most dangerous habit many kids seem to believe they are immune from. It also utilizes GPS to track location in order to monitor trips and adherence to local speed limits; this is when I like the phone to verify if new drivers were where they said they were. Parents: this app puts you in the back seat of the car...virtually. So here's the math: the safer you drive the better your score. The better your score the more points you earn. It's that simple. Let me circle back to my earlier comment about the best part of this program. Since using this app my driving has indeed changed. It has raised my awareness about phone usage (only on bluetooth now, never by hand) and no texting. I slow down earlier for stopped traffic to avoid any hard braking and I pay closer attention to my speed. This app has made me a safer driver, and I'm reminded of that every time I review the app's feedback and monitor my score. AND I earn free coffee at Starbucks, free movies at Showcase Cinemas, and discounts on gas...that's pretty rewarding. Update: Mapfre (Commerce) is another carrier which has introduced a telematics program. While their rewards are different, the net effect, better driving, parental monitoring, is the same. If you'd like to discuss your personal auto insurance with a Gordon Atlantic professional, and to see if Plymouth Rock and their Road Rewards program (of Mapfre's DriveAdvisor) might be a fit for you, call us at (800) 649-3252. Prefer to type instead of talk? Ask a question below or click for an obligation-free quote! What is premium fraud? Or, is garaging location important for insurance? Premium fraud refers to misstatements on an insurance application to reduce the cost of insurance. When premium fraud is discovered by an insurance carrier, they may not pay a claim. We understand that everyone wants to reduce the cost of their insurance, but making intentional misstatements to manage the cost is risky, and defeats the purpose of the whole effort. Here's how it might play out, innocently: Young adult from the suburbs gets a place in town with a friend or two, buys a car, then hears that insurance in the city is a lot more expensive. "Just say you're still living at home!" The problem is the "Just say..."
Remember that an insurance policy is a contract. Parties enter into contracts with assumptions that relevant information is available prior to each party entering. If one party (the insurance buyer) makes a "material misrepresentation" while entering the contract, the other party (the insurance company) has grounds for not having to be held to their obligations. (reminder / disclosure - we are not attorneys; do not construe this as legal advice or opinion). What does this mean for insurance? The most common occurrence of "material misrepresentation" in retail insurance is the scenario described above with the young adult - garaging location, or where your car spends the night. Everyone knows that it costs more to insure the same car with the same driver in an urban environment like Boston than it costs in a suburban one. The difference is significant; up to twice as costly from Cape Cod, for example, to Boston. Here's the rub: let's assume you are living in Boston and have a collision or comprehensive (vandalism, theft, or other non-moving damage) claim. If the claim occurs in Boston, but the policy shows a less expensive garaging address, the insurance company will often investigate. After all, if they can show that the owner is living in the city, they might not have to pay the claim. Every insurance company has an investigation team, commonly called the SIU (Special Investigation Unit). They are good at what they do, and with big data, their job is getting easier. Initial efforts may begin with a quick Google name search: we have seen reports where participants in athletic events, such as a road race, show their hometown as Boston. There are plenty of other publicly available places online providing clues or outright evidence of where you are living. Then the real investigation begins to prove premium fraud…. which may allow the insurance company to walk. If an insurance company can demonstrate the contract was entered into fraudulently, for example, by saying you live in the 'burbs when you live in town, their obligation is limited to provide compulsory coverage only: state minimum limits for property damage ($5,000), bodily injury, ($20,000/$40,000), and no collision or comprehensive coverage. Providing false information to manage your insurance costs can be not only risky, but extremely counterproductive. There are plenty of other ways to reduce the cost of your insurance. Just give our office a call toll free at 800-649-3252 and we'll work with you to lower the cost of your insurance while making sure it will be there when you need it. Prefer to type versus talk? Click on the top left of this blog. Reasons for a Personal Injury Endorsement on Your Homeowners Policy! An oral or written publication of material that violates a person’s right of privacy. 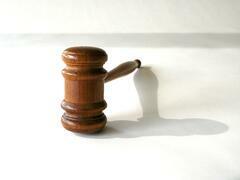 Personal injury must be done to someone else. With social media, websites and blogs, anywhere that you could say or write anything about someone else, or a business, there is such a greater chance of your being sued. Your basic homeowner policy does neither provide this coverage, NOR more importantly does not provide the defense cost associated with being sued. For less than $100 a year, you could add this protection to your homeowner policy. Please call us today to see if you have this coverage, or if it is something that we need to add to your policy. To find out more about a Personal Injury Endorsement, call us at (781) 659-2262 or fill out our Request a Quote page. Tax related fraud is on the rise and takes many forms. Fraudulent filing is one, where a false (under-reported income) return generates a check from the IRS that is mailed to a “new” address; identity thieves may sell your stolen social security number and personal information to those with poor credit to get credit cards to use illegally; and to illegal workers, who use your information to apply for a job, then report earnings under your name, flagging your return for failing to report income. The list of scams is as broad as the imagination of people wanting your financial identity. Filing early can bring the identity theft to light sooner than later, minimizing the time and damages associated with resolving the theft. With the tax season in full swing, it is important to be extra vigilant about how you share personal information. In addition to filing early, there are other ways to help reduce your risk of becoming a victim of identity theft this tax season. If filing offline, make sure not to leave any tax forms in the car and to shred any paperwork you do not need before throwing out. If filing online, be suspicious of emails claiming to be from the IRS, even if the email has the appropriate logos. According to the IRS website, the IRS does not reach out to taxpayers for personal information unless there is an issue. Also, log off completely when finished with each transaction and be wary of slow-running computers. However you choose to file, request your refund as a direct deposit so criminals cannot have it redirected to their address or steal it from your mailbox. 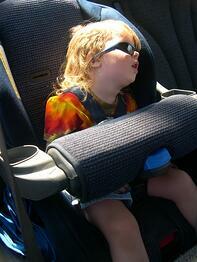 Car Safety Seats: Is Your Child Safe? Children are almost always safer when in the back than in the front. Children MUST be in a car seat appropriate for their HEIGHT and WEIGHT. Using a car seat correctly is one of the best ways to prevent injury to your child. However, incorrect usage is very common, and even a minor mistake in how the seat is used can translate to serious injury in the event of an accident. To keep your newborn from slouching, pad the sides of the seat and between the child’s legs with rolled up diapers or receiving blankets. Recline the rear-facing seat at a 45-degree angle. If your child’s head flops forward, the seat may not have reclined enough. Tilt the seat back until it is level by wedging firm padding such as a rolled towel, under the front of the base of the seat. It is too old. Look on the label for the date it was made. If made before January 1981, the seat may not meet strict safety standards and its parts are too old to be safe. Some manufacturers recommend using seats for only 6 years. It does not have a label with the date of manufacture and model number. Without these, you cannot check on recalls. It has been in a crash. If so, it may have been weakened and should not be used, even if it looks all right. It does not come with instructions. You need the instructions to know how to install and use the car seat properly. Do not rely on the former owner’s instructions. Get a copy of the manual from the manufacturer. It has cracks in the frame of the seat. It is missing parts. Used seats often come without important parts. Check with the manufacturer to make sure you can get the right parts. To find out if your child safety seat has been recalled, you can call the Auto Safety Hotline ( 888-DASH-2-DOT ). If the seat has been recalled, be sure to follow the instructions for the recall or to get the necessary parts. You should also get a registration card for future recall notices from the Hotline. Keep your child in a car seat for as long as possible. When he or she is big enough, make sure that seat belts in your car fit your child correctly. The shoulder belt should lie across the shoulder, not the neck or throat. The lap belt must be low and flat across the hips, not the stomach. The child’s knees should bend easily over the edge of the vehicle seat. Seat belts are made for adults. 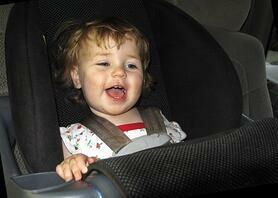 If the seat belt does not fit your child correctly, he or she should stay in a booster seat until the belt fits. Never tuck the shoulder belt under the child’s arm or behind his or her back and use lap belts only as a last resort. Try to get a lap-shoulder belt installed in your car if it doesn’t already have one. If you must use a lap belt, make sure it is worn tight and low on the hips, not across the stomach. Fortunately, insuring the things your student takes away to college can be insured easily and affordably. Here’s what you should know. You’re probably already covered: Most students are covered under their parents’ homeowners policy, as long as they still list their primary residence as their home address rather than their dorm room. No need to fear if your student has enough electronics littering his or her dorm room to disrupt aircraft radar within a five mile radius; there is generally a 10% coverage rule that protects 10% of the value of your personal belongings worldwide (which includes hotel rooms, temporary residences, etc). Even so, it’s probably a good idea to call your insurance provider and double check that your college bound daughter or son is covered. Yes, that includes Healthcare: A recent change in national law recently superseded the state’s coverage policy. 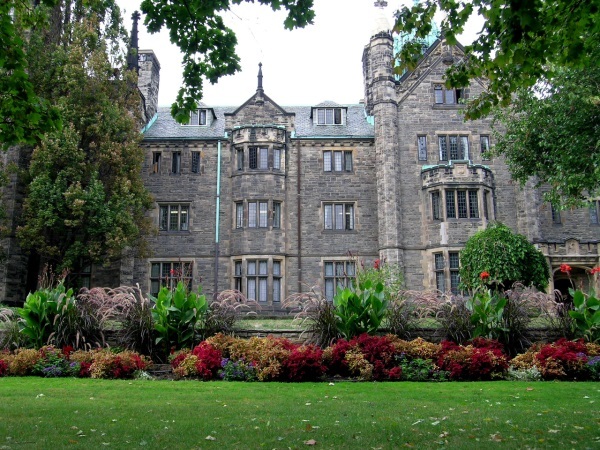 The old law stated that all full time students who are still dependent are covered under their parents’ policy to age 25. The new healthcare legislation further extended this to all non-married children up to 26 years of age. The abandoned car: many students go off to college and leave their cars at home. Make sure you aren’t paying top dollar for a car that will sit in your garage all year and only endanger the lawnmower next to it. Call your insurance agent and ask for a discount if the car will not be at school. Furthermore, ask if good student discounts are available should your studious scholar return home to use the vehicle. 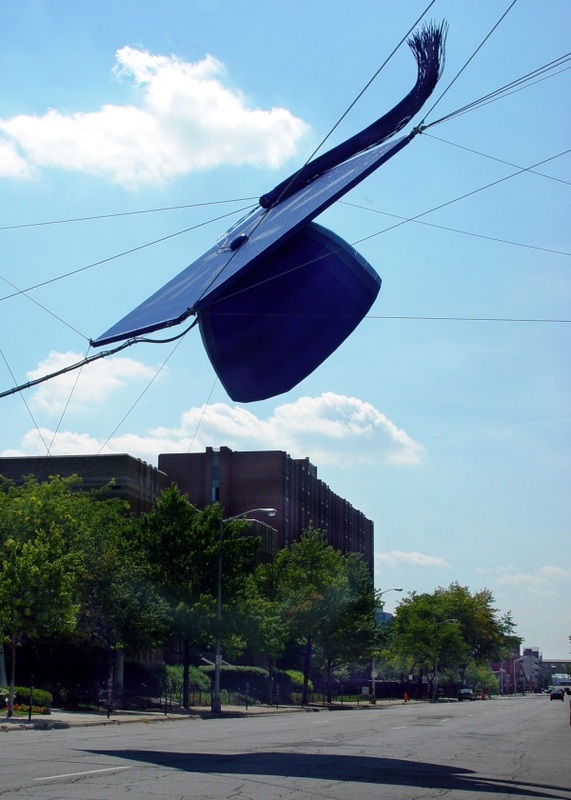 After Graduation: After your college student graduates and takes up residence elsewhere, the rules of the game change. They will no longer be covered under your homeowner’s policy, but will instead most likely need tenant insurance for their apartment or rented house. However, these policies are very affordable and will cover anything in the apartment that would break if someone “turned the apartment upside down and shook it” (Meehan Insurance). Even with this information, it’s a good idea to call your professional insurance provider and have a conversation about your son or daughter’s coverage before they leave for college. The short amount of time on the phone could save you time, money, and headaches in the future. Additionally, an ounce of prevention is worth a time honored cliché (or a pound of cure). It’s worth taking the time to prevent the theft of items that your students own. You can protect laptops from theft by purchasing a notebook combination lock (several affordable products are listed here). Another good use of time is to photograph all valuable items and take down serial numbers and other information then store them in a GoogleDocs document; if you have a google account, you already have access to this feature. If you don’t, setting up an account is free, easy, and you can access your documents from any computer with internet access. Taking preventative measures before the next dorm party can keep your son or daughter’s electronics from “walking out” in the middle of the chaos. For more insurance tips, information, resources, and quotes, visit us at the A. G. Gordon, Inc website. Learn more about personal insurance here. Now that the weather (in MA anyway) is growing more amenable to outdoor activities, you may find yourself on a bike. 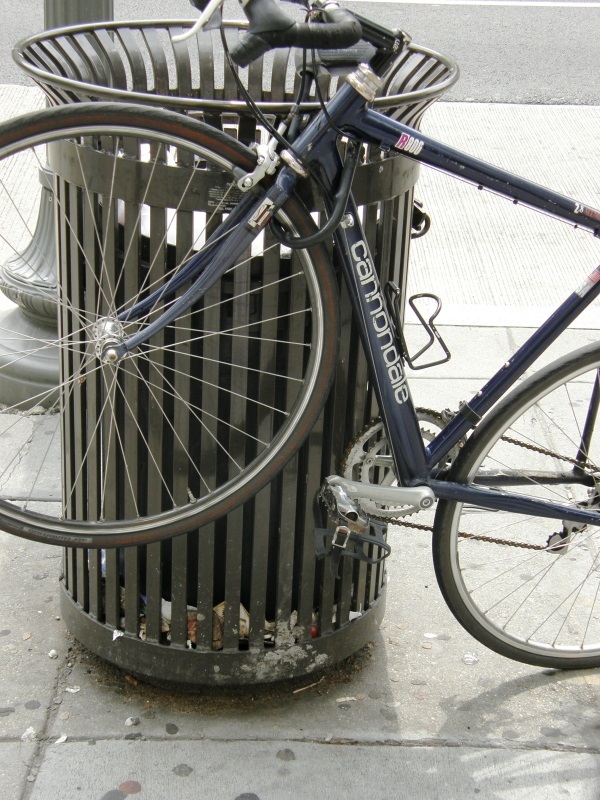 Unfortunately, bicycles are favorites for thieves, especially on college campuses. An unlocked, unguarded bike is one of the easiest things to steal; don’t forget, thieves are enjoying the warmer weather too. The National Bike Registry is a pretty cool service; by registering with them, if your bike is stolen, police have a way to identify it as yours if found. Otherwise, it will end up in police auction. As the name suggests, this is a national database that covers all 50 states. It’s definitely worth the time to register with them, especially if you have a nice bike. Bicycles are generally covered under homeowners or renters insurance. However, there is usually a $250 – $500 deductible. Your homeowners or renters policy also provides liability coverage in the event of a collision that results in injury to another person. There are no deductibles for liability claims. Once you purchase a bicycle, keep the receipt for it and any accessories you add. Also, take photographs of the bike. Store these documents off-premises and alert your insurance professional to your new purchase. If you own an expensive bike, consider purchasing a floater. This will provide more coverage than a homeowners or renters policy. For instance, in the event of an accident, a floater covers the cost of bike repairs. A floater costs approximately $9 for every $100 of the bike’s value and there are no deductibles. Learn more about personal insurance here. Summer for most Americans means “busting out the grill” and hosting some barbecues in the warm weather, whether it be with friends, family, or both. 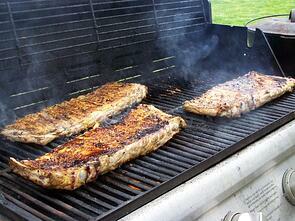 According to the Insurance Information Institute, Americans enjoy more than three billion barbecues each year. By my calculations that’s enough chicken and steak to reach around the circumference of the Earth four times! (I just made that up, but still, there’s a lot of grilling going on). As you prepare a succulent host of BBQ food this year, remember to keep grilling safety in mind! Wear a protective fire-resistant apron or similar garb, and mitts that reach up to your forearms to avoid burns. Keep you grill’s gas cylinder AWAY from your house or flammable structures. Check for leaks often by sprinkling soapy water around the gas valve; if there’s a leak, bubbles will form. Never check for a gas leak by using a match. This can happen. Make sure the gas is off whenever the grill is not in use. If using a charcoal grill, only use lighter fluid specified for charcoal grills. NEVER USE GASOLINE. Also never add more lighter fluid once a fire has already started; if needed, add small sticks or other tinder to augment the flame. When finished, douse coals with water before disposing of them in the trash. Our specialized outdoor flame/fire consultant advises you to take extra caution when grilling in the woods. Only you can prevent forest fires. Check grill hoses for cracks or leaks; make sure the hose doesn’t kink. Keep additional open flames away from the grill. Never attempt to repair a grill yourself. Remember that grills can remain hot long after the fire is out. Learn about your personal insurance options here. Popular culture has largely portrayed a lightning strike as an event akin to winning the lottery or another extremely improbable occurrence. However, better data collection efforts over the last decade have shown lightning’s danger to be underrated at best. According to the Lightning Protection Institute (LPI), lightning strikes thousands of people each year, injuring a few more than 1,000. Have you ever been afraid to go swimming after watching ‘Jaws’? Well the probability of being struck by lightning is approximately 30 times more likely than being attacked by a shark. You should be watching the sky, not the water around you! I personally know two people who have been struck by lightning; one lived, one did not. While this is entirely anecdotal evidence, it does beg a question as to why lightning is generally not taken seriously as a threat. My personal theory is that it’s a combination of the misconception that lightning strikes are extremely rare and the commonness with which we encounter lightning. Lightning can also be very damaging to property; according to the Insurance Information Institute (I.I.I. ), there were 213,000 lightning related claims last year. These losses include damage to expensive electronics and structural fires. The I.I.I. further estimates that the average lightning claim to be $4,846. Lightning never strikes the same place twice. Wrong. Lightning often strikes the same place twice, especially if that place is tall, metallic, and isolated. While we’ll forgive you for using the expression in casual conversation, don’t believe it to be true. You are safe from lightning if you can see the sky. Wrong again. Lightning often strikes outside the area of a thunderstorm or rainstorm, sometimes several miles away. Just because the storm is not overhead does not mean you are safe. Lightning rods attract lightning. Wrong. Lightning rods provide a safe place to ground the surge of electricity should lightning strike. If you are caught in a storm, pay attention to how you feel. If your skin beings to tingle, you hair stands on end, you smell an acrid odor in the air, or you get a metallic taste in your mouth, you might be about to experience a lightning strike. Get low to the ground and follow the steps below. 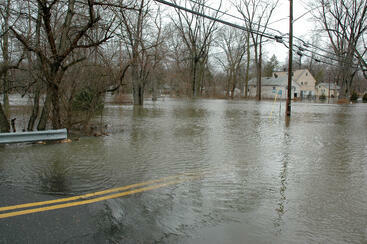 Stay away from bodies of water, such as lakes and swimming pools – even indoor swimming pools. Stay clear of isolated trees, flagpoles, telephone poles, hills, and rooftops. Get out into an open field or road. Of course NEVER touch metal objects such as wire fences, golf clubs, aluminum baseball bats, bicycles, during a lightning storm. If you are caught out doors during a thunderstorm, crouch down and keep your head as low as possible and only let your feet touch the ground – rock forward on your toes if possible to get as much of your feet off the ground. Do not touch the ground with your hands to balance yourself. NEVER lie down on the ground – you want as much of you off the ground as possible. The electrical current from a nearby lightning strike can travel toward you along wet ground. Even indoors you must use common sense. Always stay away from electrical appliances, metal pipes, get off the phone, stay out of the shower and bathtub and do not use any wired appliance. If you are caught outside with a small child, hold the child on your lap up off the ground as you crouch around them. Realize that lightning is a powerful force of nature and it demands that you develop a healthy respect and fear of it. Stay indoors during lightning storms! Invest in a lightning protection system for your home and or business. A building with a properly installed lightning protection system is a smart investment as it provides proven protection for your family, home and valuables. It is an important safety investment in areas prone to lightning. Look to Gordon Insurance for more risk management resources! Lighting can affect your home, auto, and most importantly life and health, so make sure you're covered. Learn more about your personal insurance options with us here.